That will be a bugger to repair if it breaks down. Space is fake, flatearth is the truth! Dblock wrote: Space is fake, flatearth is the truth! Yep, where are the turtles for a start. 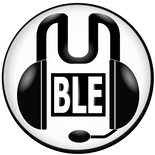 The trouble with you Dblock is I actually think you believe that. You would have thought this would be the ideal time to start reading HHGTTG. So is the suit hooked up to monitoring equiptment to test it long term or is it fake? It's going to Mars too. Elon Musk has to be the leading contender for Man of the Century so far. Shame the central core didn't make it, but damn that was exciting to watch. 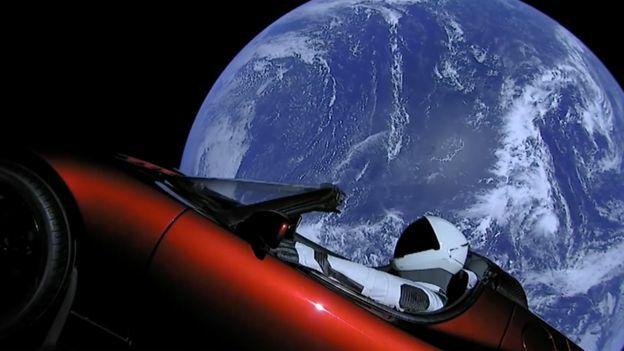 I don't know why it makes me so happy, but every photo I have seen of the Tesla car in space has made me smile and feel all gooey inside. Incredible scenes. Space is awesome. I thought that rocket was in reverse. That's quite an achievement. It really is and private space flight is developing at an astonishing rate. It was less than 15 years ago that SpaceShip One became the first private craft to go into space, now we have the Falcon Heavy, a craft that can carry enormous loads into space and can vertically land its boosters. It's quite damning that it's taken this long to reach this point. Private companies shouldn't have to be the ones who are taking up the slack left behind by NASA who've spent decades pottering about in the back yard rather than pushing things to their next step. Admittedly that's most likely due to funding, but they should have been developing and driving down the cost of this stuff long ago. They really should paint the booster rockets so they look like Thunderbird 1. We would see amazing progress if we told Trump that we would change the name of Mars to “Trump Planet” if he gave NASA the funding to land people there. Although he’d probably want to paint the whole planet gold.